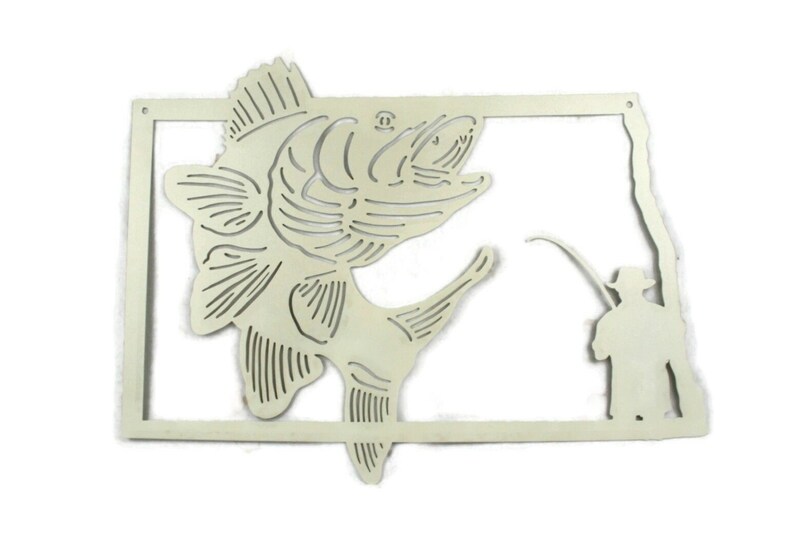 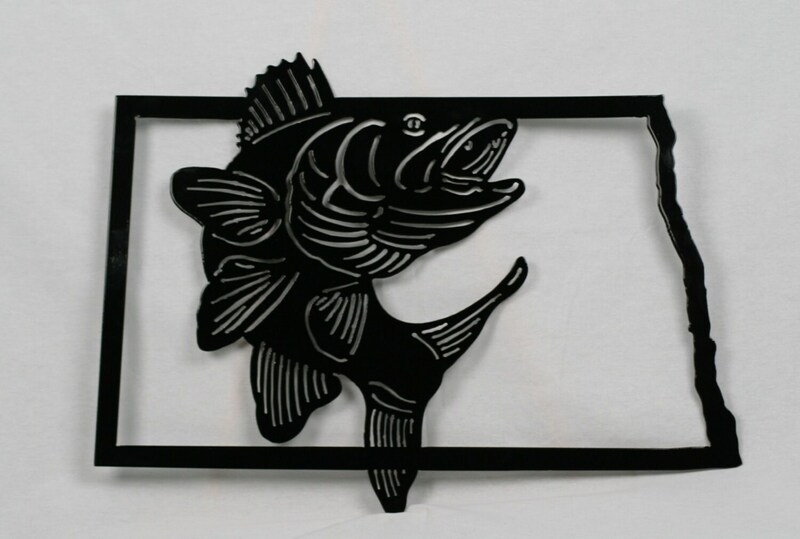 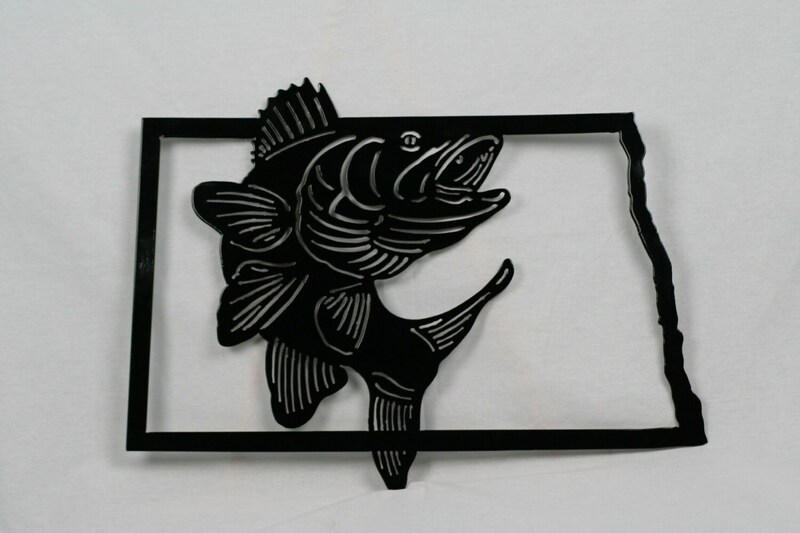 This quality piece of metal art is a tribute to walleye fishing in North Dakota! 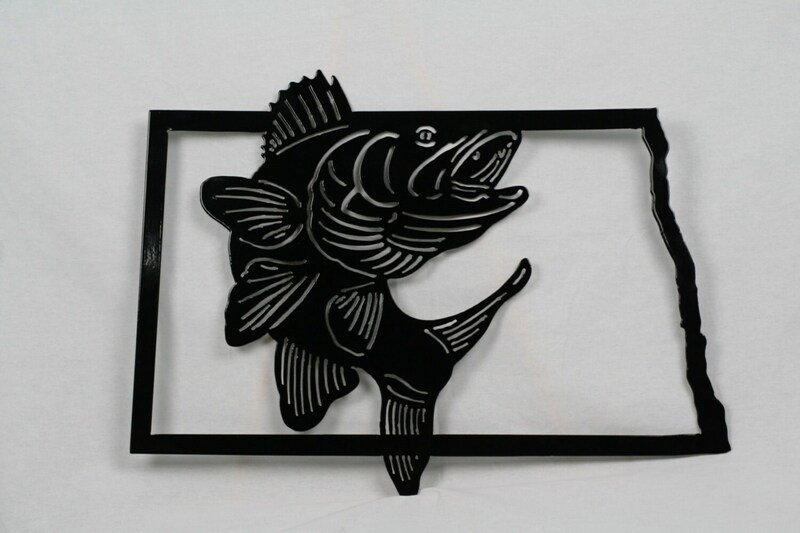 This will hang perfectly in your office or on the ice shack! Great for anyone who lives in North Dakota, grew up there or experienced a great fishing trip and wants to remember it forever! 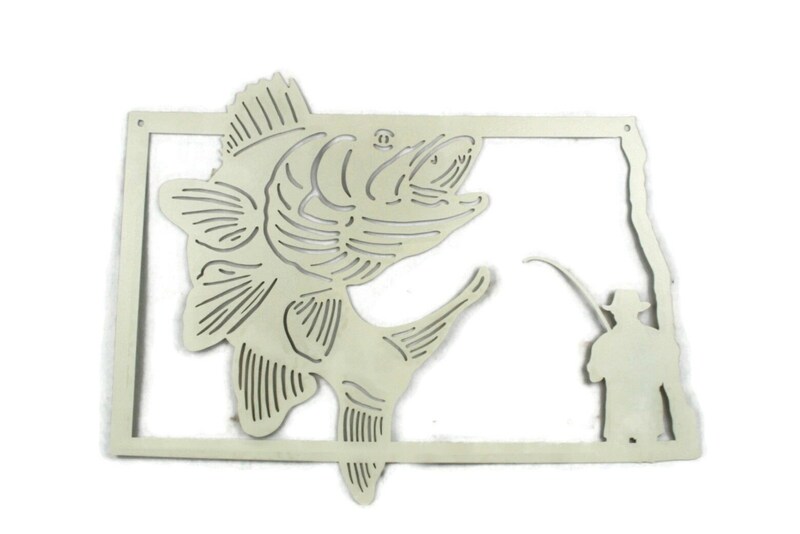 Cut from steel about as thick as a nickel. 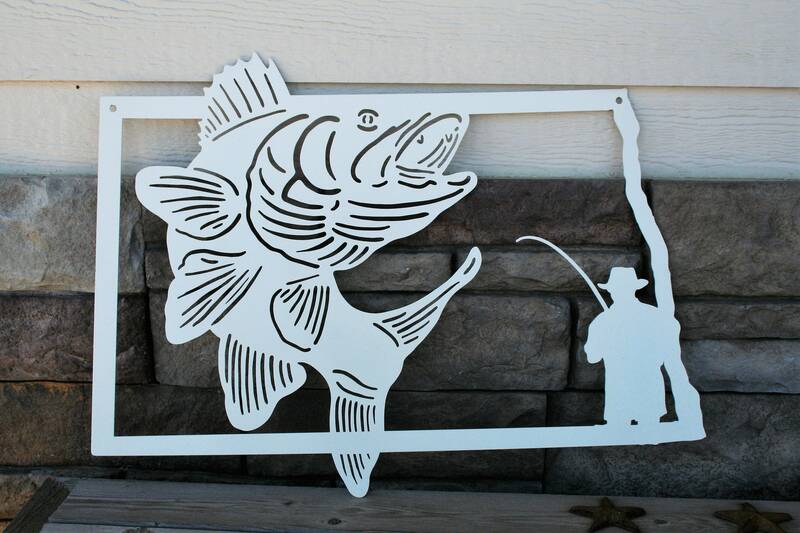 It's 22" wide and 16" tall. 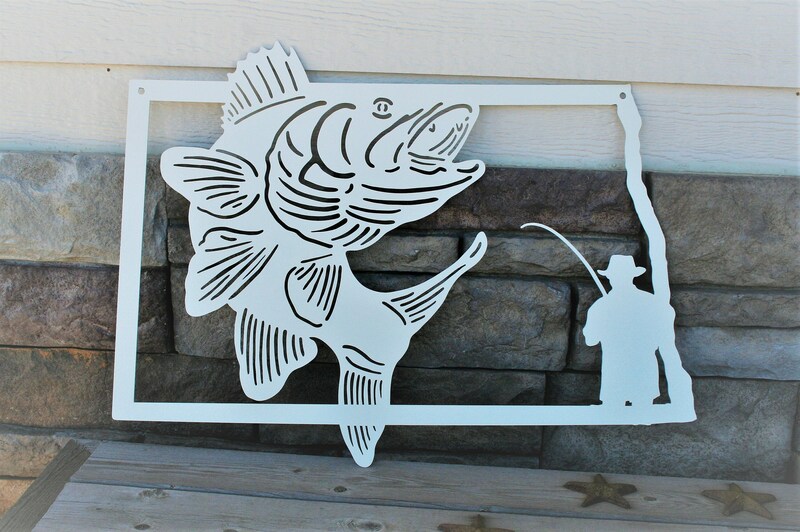 The sign is coated with durable outdoor-safe powder coat, so this sign will be safe indoors or out without peeling or fading like spray paint. 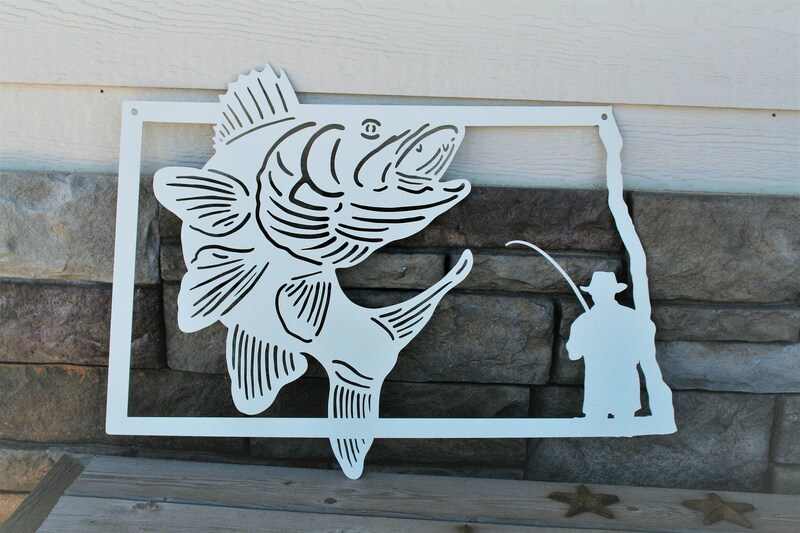 Now choose if you would like the sign with or without the fisherman. 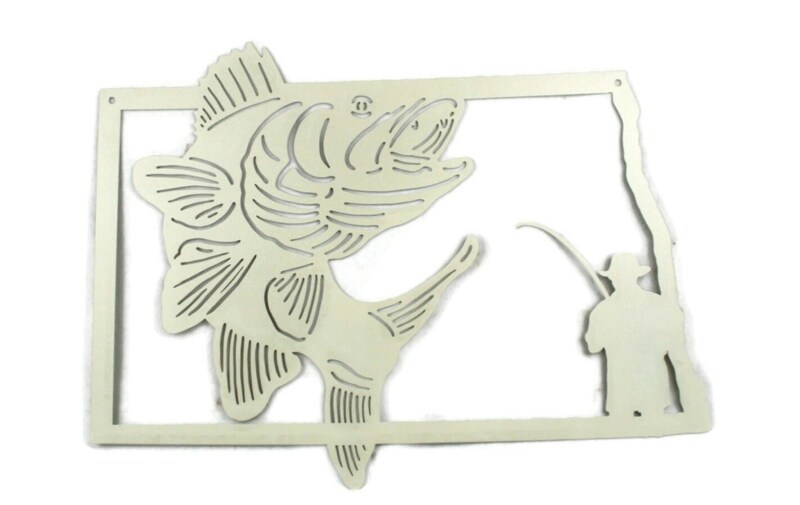 Makes a great option for the ice shack!